Do you desire to improve your cooking skills and try something more challenging? If you want to enhance your skills, you can learn the perks of and steps on how to cook quinoa without hassles and overbearing steps. For the cooking enthusiasts that are not familiar with quinoa, cooking this ingredient would surely be a thrilling experience. 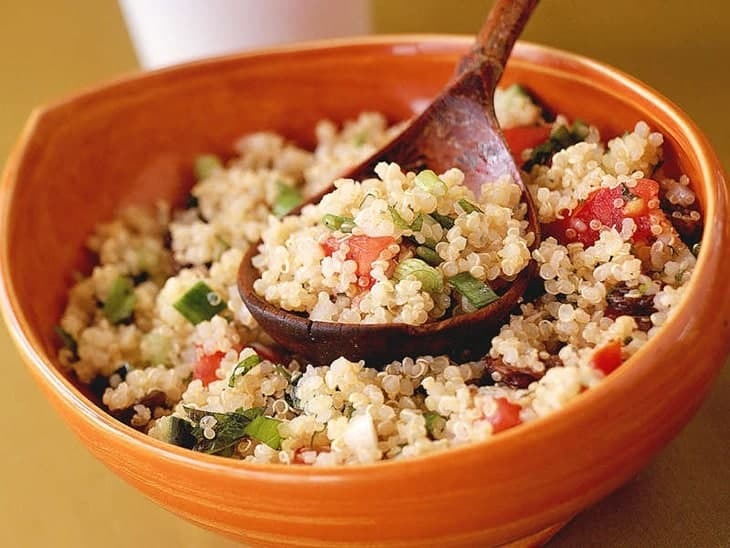 Quinoa is a tasty food that is rich in fiber and loaded with high content of protein. On top of that, quinoa is also gluten-free.For today’s guide, I will share with you some of the ways to prepare it so that you will know how to cook quinoa with ease. This guide also aims to provide you the different means of cooking it as well as the variety of tips that could be of great use to you. 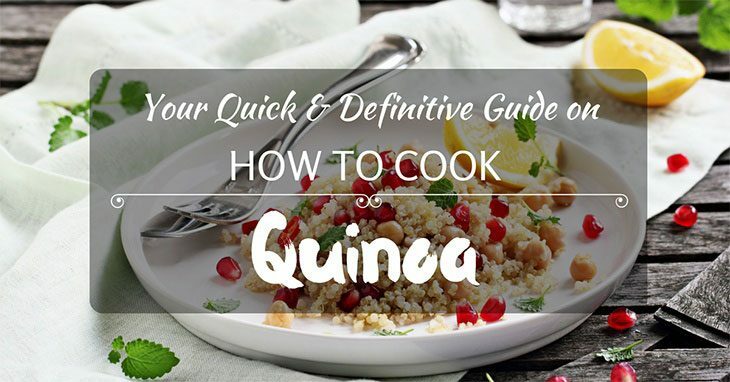 This guide also aims in providing simple remedies to deal with the common challenges and fixes as you cook quinoa. Before discussing anything else, it is important that you know what quinoa is and the things related to it. Should you Try to Eat or Cook Quinoa? As an avid food enthusiast, I would recommend that you try to eat or cook quinoa. For one, this seed offers more protein than any other grains or seed sold in the market today. It has the essential amino acids that our bodies need. Quinoa is also a good resource for calcium and it is high in lysine. Other minerals and vitamins associated to be present in quinoa are B vitamins and iron. On top of that, the seed is easy to digest and rich in nutrition. A seed that thrived for many centuries has different types. Some quinoas are tan colored or others have yellow form. Other colors include orange, pink, red, black or even purple. The varieties are available in most health food stalls. The tastes are the same with all other kinds. 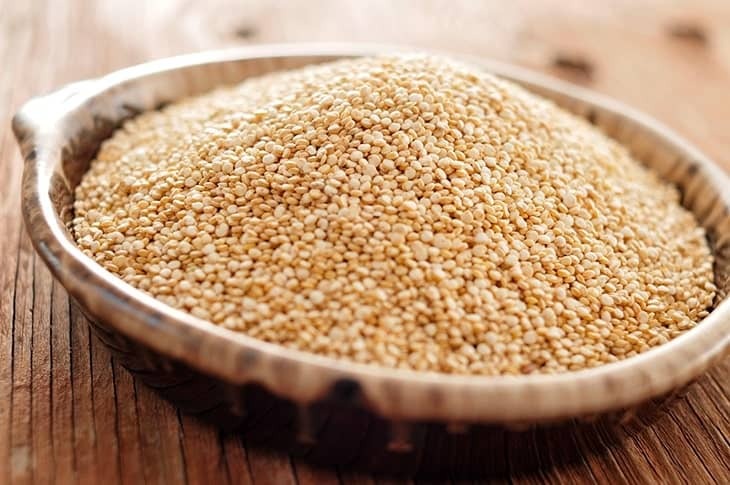 The quinoa seeds are stored in an airtight container and usually placed in the fridge regardless of its kind. The quinoa seeds can be stored for many months just like your regular rice. 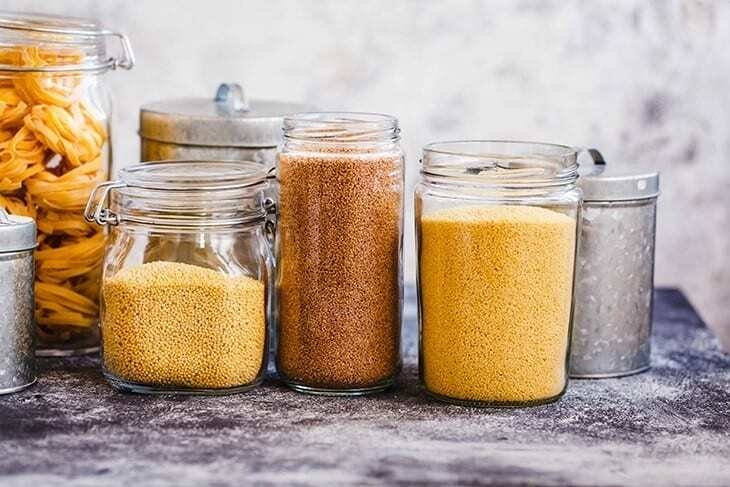 Cooking quinoa offers many advantages besides being a staple food supply and one of these advantages is connected to your health. To put it simply, here are some of the health benefits. Has ample nutritions such as protein, fiber, manganese, magnesium, phosphorus, folate, copper, iron, zinc and potassium. It has plant compounds such as quercetin and kaempferol that helps acts as anti-inflammatory medicine. It is also anti-viral and has anti-cancer features. The quinoa seeds may seem new or foreign to you, but this product is one of the healthy replacements for rice. There are many methods that you can utilize to cook quinoa. The wide berth of options are remarkable and surprisingly, it is one of the easiest foods to cook and prepare. Do not forget to consider the exact amount of quinoa for your family meal: 1 cup dry quinoa yields about 3 cups cooked quinoa. If you want to replace rice with quinoa. It is possible. You can cook quinoa through a stovetop and make it as your substitute rice instead. Here are some of the ways to do it. If you're looking to substitute rice and serve it with a roasted meat cooked in ﻿a p﻿ropane smoker, try to cook quinoa with a stovetop. Here are some of the steps that you need to follow. Begin by preparing your ingredients and it includes one cup of quinoa, two cups of broth or you can use water. Also prepare salt and olive oil. Rinse or wash the quinoa. To rinse the quinoa, you need a strainer and under running water, rinse it. By washing, you will remove the excess saponins, an ingredient that causes a bitter taste. Using a non-stick cookware pan, you can toast the quinoa in it. Drizzle the quinoa with olive oil and turn the heat to a medium range. Let it cook for one minute to make it nutty. Get the water and pour it in the quinoa and let it boil. Let it simmer for approximately 15 minutes or until the color becomes translucent. Get the pan away from the heat and let your quinoa cool for five minutes. Let the moisture be absorbed. By using a fork, you can fluff the quinoa and you will see that the seeds will separate from the germ. 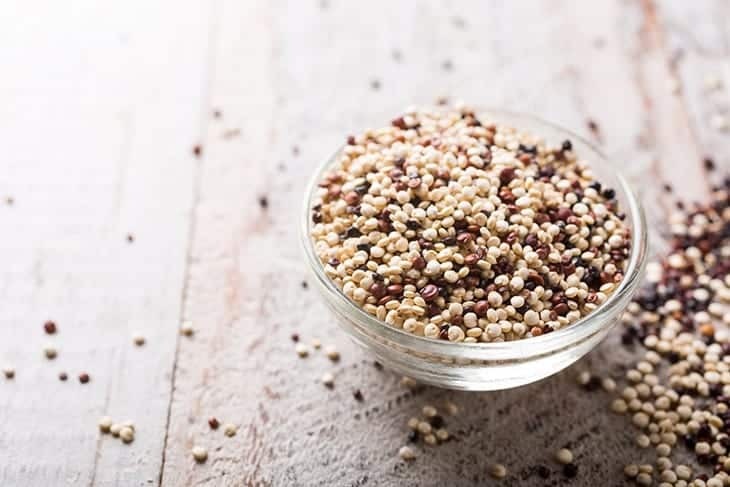 Serve the quinoa while it is still hot so that the flavor and its nutritious elements are preserved. If you prefer to use a rice cooke﻿﻿r instead of an induction heater or cook top, that is also doable. This method is the easiest and speediest means to cook quinoa. The process is fast, less complex and most of all, easy to follow and do. Through this method, you can still prepare and cook quinoa. The process is basically similar to the previous method that I have mentioned above. Moreover, if your quinoa is not pre-rinsed when you bought it, then washing it and rinsing it should be one of the first few things that you must do. 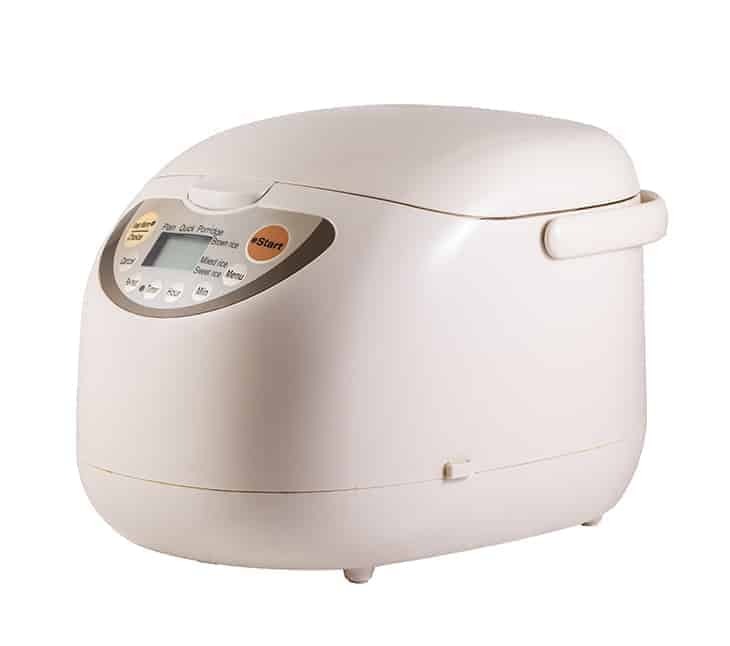 Some rice cookers have different settings, so check the label first before deciding to cook your quinoa using a rice cooker. The first step involves pouring your quinoa to a rice cooker. You can have the option to toast it before placing it in or not. Get two cups of broth or just plain water (for one cup of quinoa) and pour it on the rice cooker. You can also add vegetable stocks if you happen to have some or serve it alongside a spaghetti squash. Proceed by cooking the seeds and let it simmer for roughly 15 minutes or until you noticed that the seeds are tender. When it is cooker, let it cool for five minutes, use a fork and fluff it and then serve it. If you prefer more add ons, you can serve it along a spaghetti squash or other vegetables of your own choosing. Cooking quinoa using an oven is pretty easy if you know the simple steps. Before you serve your favorite meat, you can use the quinoa as a replacement for your rice. The process is simple and easy to follow. Prepare your oven and set the preheat to 350 degrees F.
You need to heat two tablespoons of olive oil using medium or low heat. Get some peppers, mushrooms or onions for additional seasoning. Add herbs and vegetables to make it more nutritious. You need to sauté the onion until the color becomes translucent but be sure to not burn it. Add the salt along with the quinoa in the cookware and continually stir it for 30 seconds. Once it is boiled, move the seeds to a baking dish and spread it. Cover the dish with aluminum foil and for 20 minutes, bake it. Remove the foil and add more ingredients such as seasonings or cheese. Also, make sure that it is baked thoroughly. This process is considered as one of the fastest means to cook quinoa. Similar to the other ways of cooking quinoa, this method features the same process that you usually do when cooking quinoa using a cooking ware and a stove. To know the simple steps, here are the things that you must do. 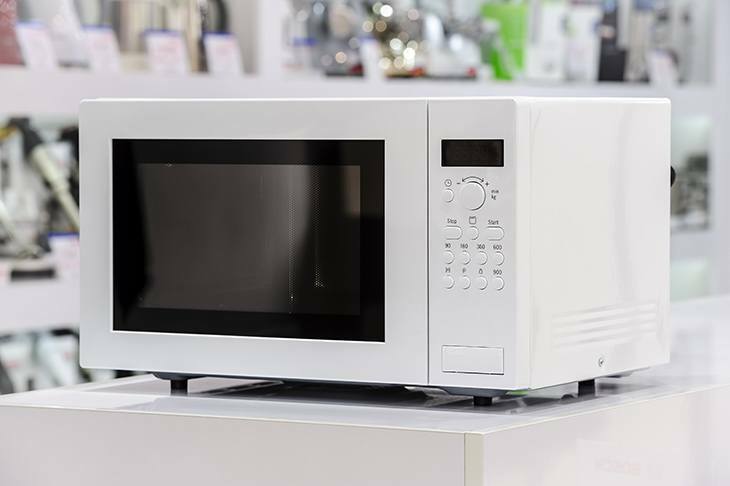 Put your quinoa in a container that works well with a microwave oven. Once you stir it for more than 6 minutes or if you can see that the liquid have been absorbed, put it back to the over and let it cook again. For five minutes, allow the cooked seeds to cool off and the liquid be absorbed. It is a fact that the grain could be bitter and one of the ways to remove the bitter taste of the quinoa seeds is to rinse it under running cold water. Also, you need to add twice the amount of salted water to remove the bitter taste. Surprisingly, the health market has provided pre-rinse quinoa and these products could be bought anywhere in most health food stalls. Since there are many ways to prepare quinoa even using an electric skillet, you can also use the quinoa as a side dish. Similar to the kimchi side dish that most korean eat, the quinoa could also be served as a side dish as well. It virtually works on any type of meals. 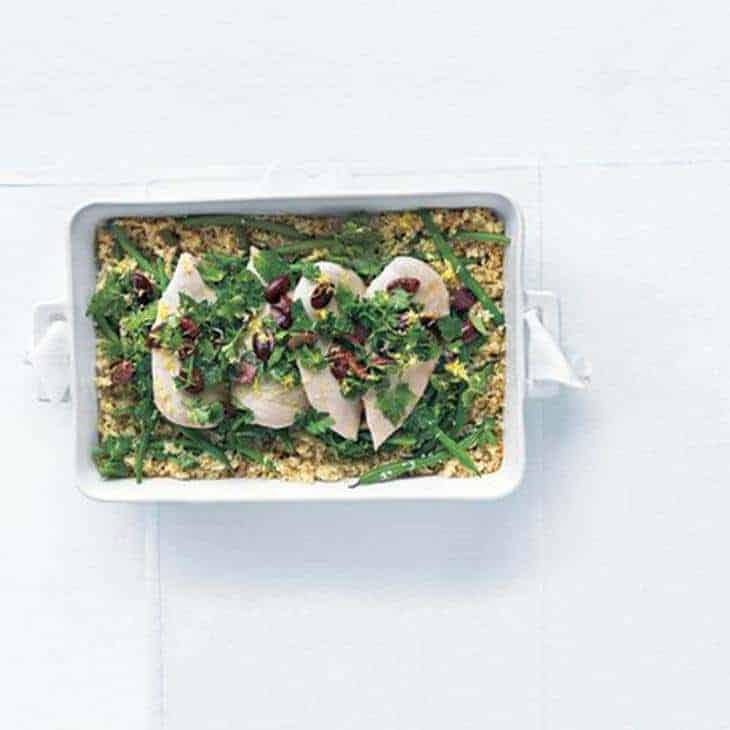 You can serve quinoa with a baked fish or stews. It can also be utilized to add more health value to your salads, porridges, and even casseroles. For additional favor, you can toasts the seeds using oil and make sure to set it to low heat. The list that I have compiled are some of the means to prepare quinoa. You can either use an electric skillet or a microwave oven. But aside from the methods that I have mentioned, you can also quinoa as a side dish to complement all types of meals. 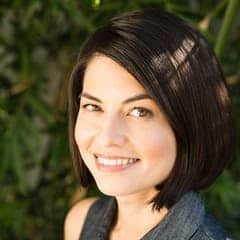 Have a look at this website for the complete list of tips shared by Emily Han. 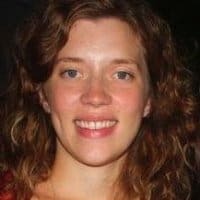 Another website that I wanted to share with you is also a good material that could offer you ways and means to cook quinoa and other recipes as well. Emily McKenna was able to provide some suggestions that could help you prepare the staple food and make it delicious as well. For easy recipes, you can check out t﻿﻿his ﻿﻿w﻿﻿e﻿﻿b﻿﻿site. It is one of the most reliable sources that can assist you in cooking quinoa. One of their recipes consists of some steps in how to get nutrition from quinoa. 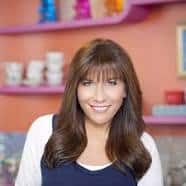 Do you want to enjoy cooking with helpful tips and recommendations? If you want to cook quinoa with ease, try to browse the tips from t﻿﻿hi﻿﻿s websit﻿﻿e. It shows the process of rinsing and rubbing the quinoa seeds before cooking them. The process is designed to remove excess saponins. T﻿﻿hi﻿﻿s reso﻿﻿urce is one of the best when it comes to teaching you the easiest means to prepare quinoa. Based on the instructions from the site, , ¼ cup of serving has 170 calories and 5.5 grams of protein and it has fiber and protein as well. The nutritious value of this ingredient has been fully utilized in this site, so take some time to visit and learn from this website. If you want to get additional information about quinoa, try to check out this site. It is one of the b﻿﻿﻿﻿est ﻿w﻿﻿ebsit﻿﻿es that offers healthy eating tips. While checking out this site, I learned the perks of cooking quinoa, and the simple process of extracting the nutritious value of this staple food. For the rest of the tips, you can check out their site and see all of their cooking tips at its best. Don't be stressed out when storing quinoa. The dry seeds have a good shelf life so you can store it in your pantry using a container. It will remain fresh for a long period of time. Also, you can put the quinoa in the fridge if you want too. If it's cooked already, store it in a fridge but don’t store it for more than a month. For most people, it is common to misidentify the product or ingredient. To better understand it, the quinoa is similar to a grain because it looks like one but it is actually a seed but similar to how grains or beets look like. Know about quinoa before eating or cooking this healthy staple food. 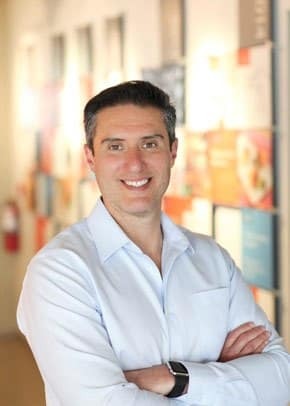 One of the most common mistakes that we often do and I am also making that mistake in the past is to cook the ingredient right out of the box. Before cooking it, make sure that it is rinsed properly. Since it has a bitter coating, it is important to always wash it to remove the bitter aftertaste. If you rinse it, you can use a fine-mesh strainer because the seeds might go down the drain if you don’t use a strainer. While cooking quinoa, it is essential that you will not overcook the quinoa. For the most part, your family member might not be too keen to eat a mushy quinoa so make it a point to not overcook it. Boil the quinoa and then reduce the heat to low and allow it to simmer until you see that the quinoa is now tender. The process might take 15 minutes the most. It is important that before you do anything else, you need to drain the quinoa thoroughly. Since it can hold a lot of water, draining it is of utmost importance. To prevent a watery dish, don't forget to drain it using a fine-mesh strainer. You need to bring back quinoa to a pan again and then drain it. Again cover it for 15 minutes and let it rest and dry so that you will not get a clumpy or wet quinoa. If you want to spice up the flavor of the quinoa, it is doable. You can add lemon, turmeric or garlic. 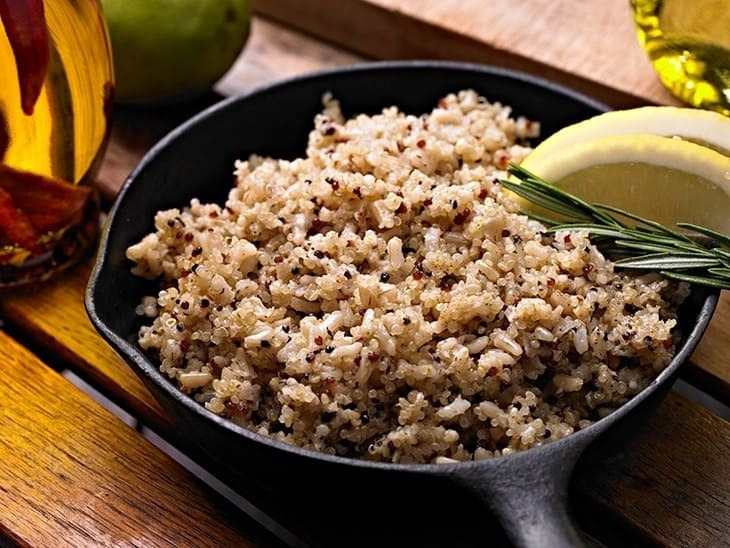 You can even add lemon juice to amplify the flavor of the quinoa. For other taste, you can add thyme, basil, and even oregano works well too. To make it sweeter, you can also add oatmeals, cheese, or breadcrumbs. Seasoning quinoa is not that hard at all. There are so many flavors to choose from and you don’t have to worry about the taste because any flavor can complement quinoa. There are many ways to transform the flavor and make it tasty. With quinoa as a staple food, adding side dish or making it a main dish is possible. You can cook it with a broth or toasts it in oil. You can even add garlic or make it as a vegetarian chili. 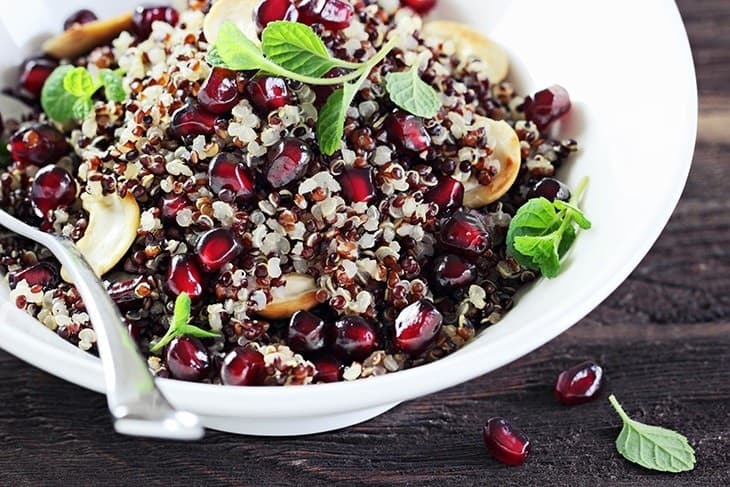 How to #cook quinoa and the health benefits that you could gain from it! 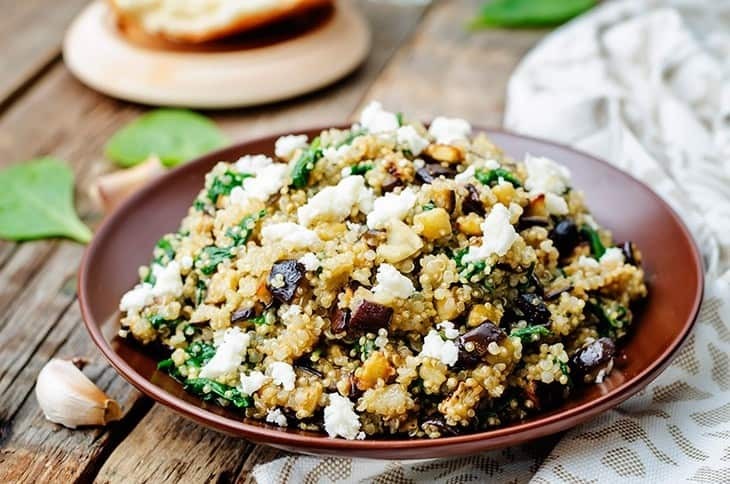 There are other ways to cook Quinoa and here are some of the recipes that you can follow to improve your knowledge regarding cooking quinoa and the different methods to cook it. You can cook quinoa with a roasted chicken and some olive gremolata. Serving this dish would provide you with 7 grams of fiber as well as 48 grams of belly-flattening protein. You might need to prepare ingredient such as white quinoa, low-sodium chicken broth, green beans, 4 boneless, skinless chicken breast halves (about 6 oz. 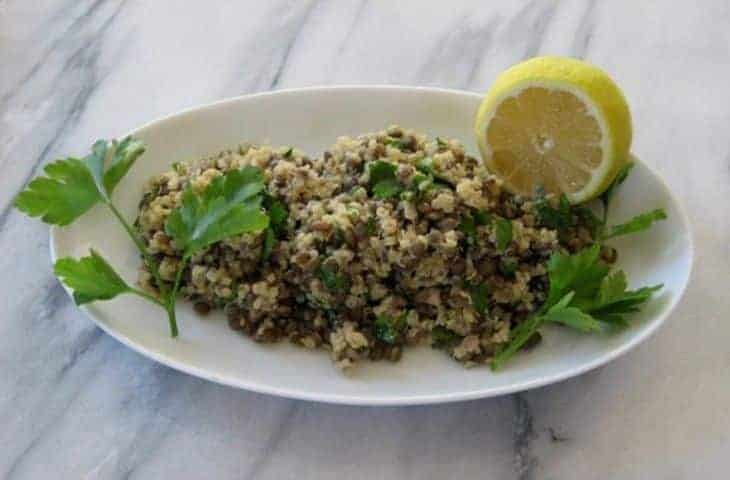 each), trimmed, Salt and freshly cracked black pepper, Olive gremolata, flat-leaf parsley leaves, chopped mint leaves, finely grated lemon zests, lemon juice, chopped pitted black olive and 1 tablespoon of olive oil. The cooking process might require you to do preheat, using a saucepan, and ensure that the quinoa is tender. Do not forget to let it simmer before serving or moving the food to a tray or a serving dish. The amount of time needed to cook the veggie-quinoa soap is roughly 55 minutes the most. 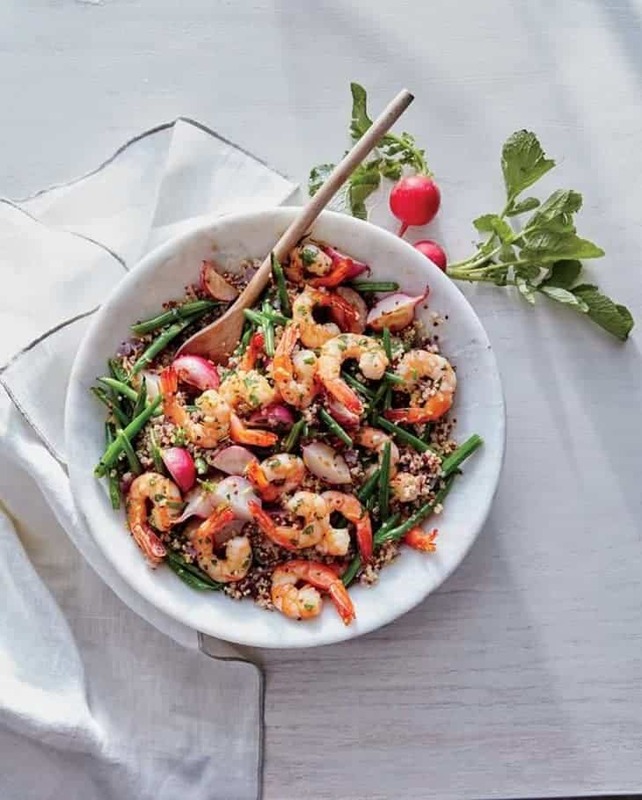 Here are some of the ingredients that you might need to prepare such as uncooked quinoa, olive oil, white onion, carrot, red bell pepper and other things. 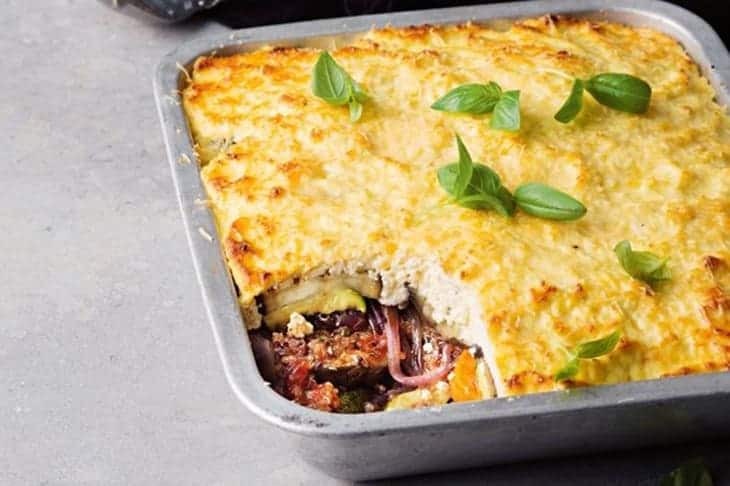 To cook it is pretty easy, you might need to preheat the oven to 325°F, spreading of the quinoa, baking it with medium temperature and you can also add other ingredient such as rosemary, bell pepper or cumin. Also, be sure to let it boil and let it cook for 10 minutes. Don’t forget to stir as well. The cheesy grilled vegetable is easy to make and easy to prepare. Also, the ingredients are available and does not require a lot of preparation. You need tp prepare eggplants, olive oil, slender sweet potato, zucchini, tri-coloured quinoa, diced tomatoes, basil leaves and a whole lot more. You don’t have to do much when cooking this recipe. Just like the other process mentioned above, you may need to set the oven to 180 degrees, do some greasing and oil seasoning as well. In top of that, you may need to use a chargrill, drain the quinoa, and let it simmer. Other process involves the mixing of other ingredients. Don’t forget to bake it. This recipe is packed with protein. It can give your tastebuds a different twist. The cooking process is also simple and yet innovative. 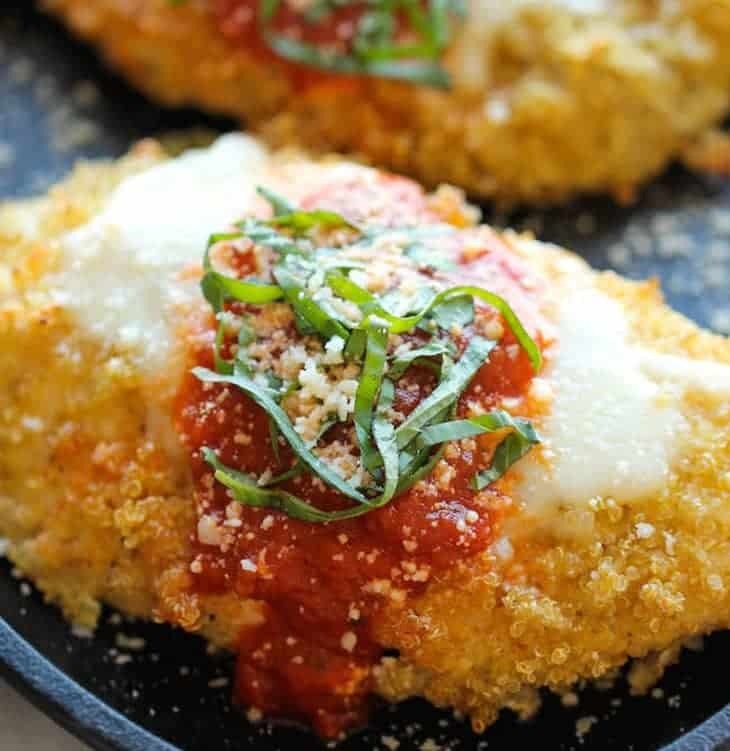 Besides quinoa, you can have other ingredients such italian seasoning, boneless, skinless chicken breasts, cut crosswise in half, Kosher salt, freshly ground black pepper, all-purpose flour, basil leaves and a whole lot more. 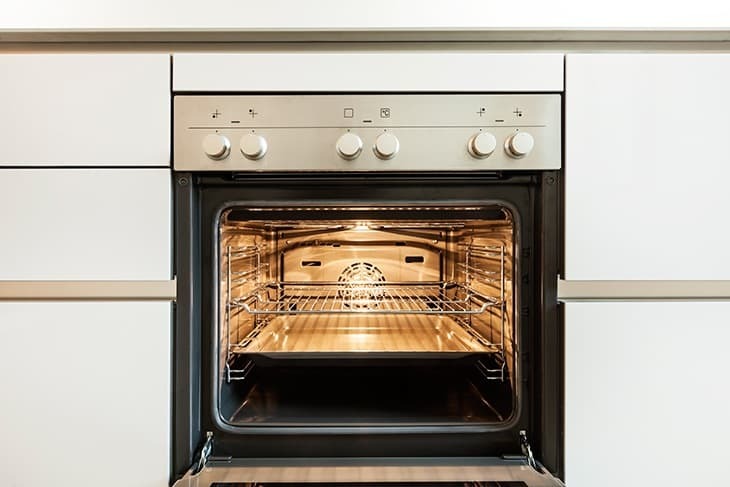 Just like the other recipes, you need to preheat the oven to 400 degrees F. You also need to use a baking sheet, a saucepan, and you may need to do a lot of dredging. Once the process is done, prepare the dish using a large platter or a bowl. This dish requires 15 minutes of preparation and 40 minutes to cook. And the ingredients that you may need to buy consists mainly of quinoa, broth, water, eggs, peanut oil, chili oil, garlic, green onions and a whole lot more. You can also add flakes if you want to. 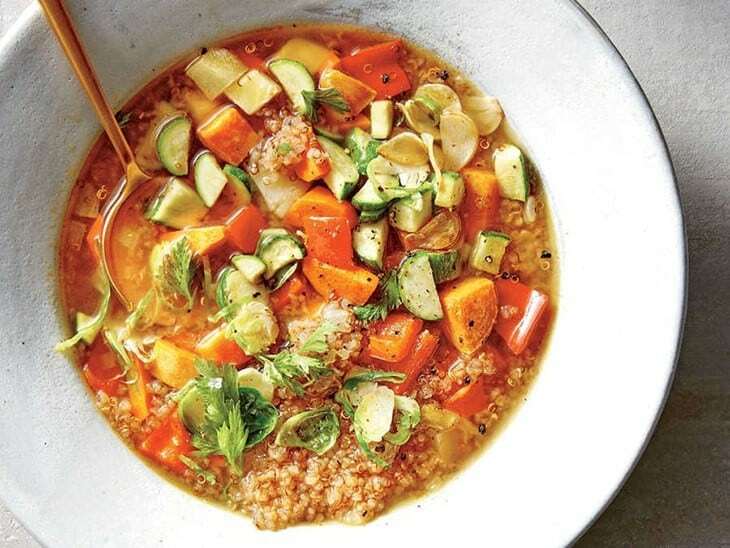 To cook this recipe, it involves the washing or rinsing of quinoa, and combine it with the chicken broth. Besides that, make sure that the ingredients are cooked properly. On top of that, apply heat accordingly. 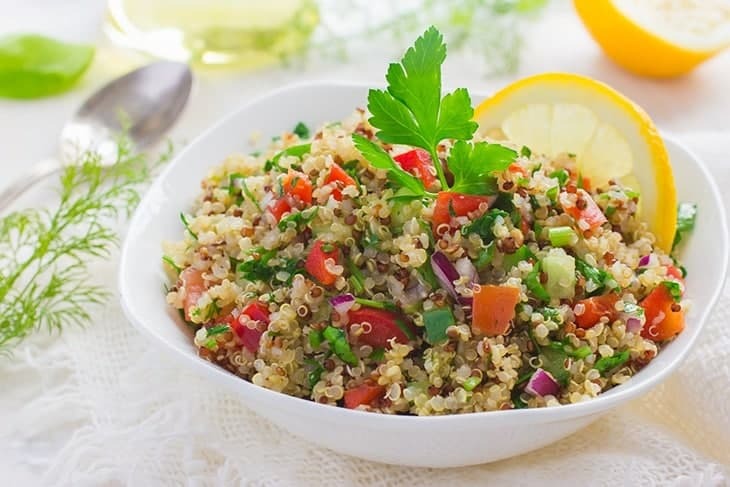 The quinoa summer salad is ideal to refresh you and reinvigorate you during the summer heat. 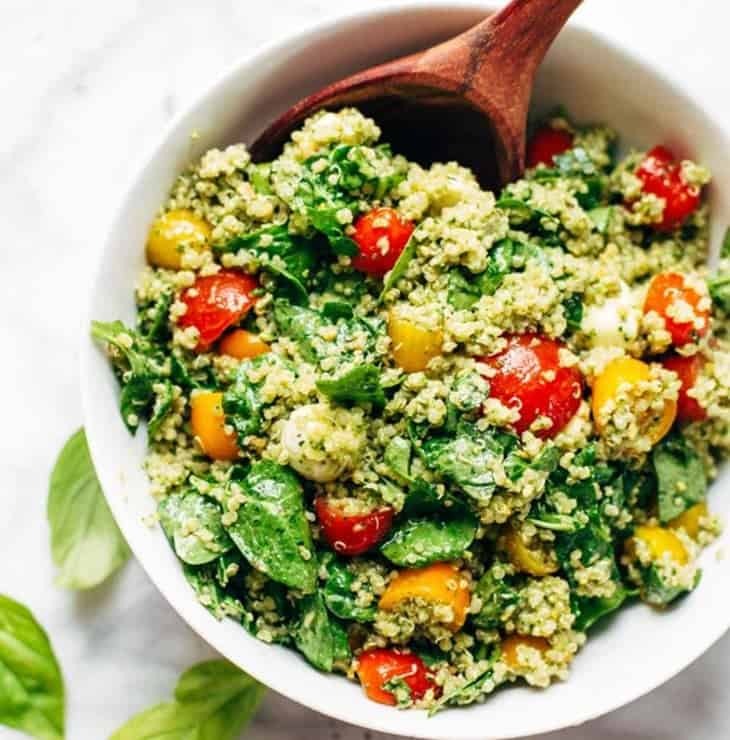 Here are some of the ingredients that you need to prepare and follow such as 4 cups cooked quinoa, 1/2 cup red onion, 1 cup bell peppers, 1 cup cucumber, 1 cup cherry tomatoes, black beans and 2 tablespoons extra-virgin olive oil. You also need to get1 tablespoon red wine vinegar, 1 teaspoon ground cumin. Add salt and pepper to the list as well. One great thing about this recipe is that the cooking process is easy. The process is basically easy and all you need to do is mix all of the ingredients in a large bowl and serve it. 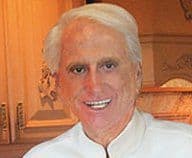 There is no need to heat it or other means to cook it. You can combine quinoa salad with kale and here are some of the ingredients that you may need to have. You need to get a bunch of lacinato kale, 3 tablespoons red wine vinegar, Kosher salt and freshly ground black pepper, 3 to 4 tablespoons extra-virgin olive oil, 1 cup cooked white quinoa and you can even get 1/4 cup toasted pine nuts. The cooking process requires you to use a large bowl and steep the kale in hot water. Also, you can cook the quinoa and combine it after all of the dressings are applied. Take some time to wash off the vegetables and remove the radicals. Once it is rinsed and dry, begin the simple recipe with ease. The Lentil and quinoa salad is one of the most nutritious salads that you can cook and the process is not lengthy as well. Prepare ingredients such as quinoa, water, lentils, mustard, wine vinegar and even vegetable oil. You can also add garlic powder and black pepper.You need to use a sieve, and rinse it with cold water. Also, be sure to have your large microwave-proof bowl within arm’s reach. Set the time for at least 9 minutes and do some stirring as well. You then need to cover and microwave it for at least 9 minutes. Using a medium salad bowl, mix the quinoa, green onions, and lentils and top it with additional dressings if needed. 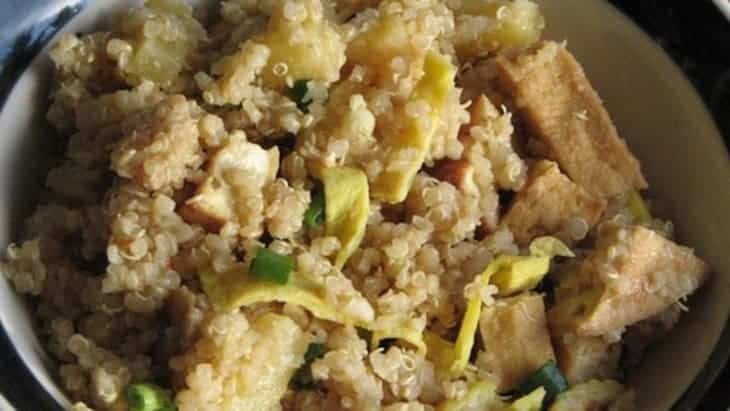 This recipe is considered as one of the traditional means to cook quinoa. You need to prepare bulgur, or cracked wheat, chopped tomato, cucumber. You can also add some fresh zip of lemon juice and herbs. You need to stir and shred the herbs or add some chicken to make the taste yummier and tastier. All you need to do is prepare the ingredients, and mix them. It is also important that you have a large bowl ready to mix the ingredients. To cook this does not require a lot of effort or mastery, but proper preparation and having the right ingredients are among the key essentials in cooking this recipe. To make this recipe, you need to have some of these ingredients such as butter, red onion minced garlic, uncooked quinoa, cups water, grated lemon or some parsley. The cooking process involves the melting of butter to a medium sized saucepan. Also, make sure that a medium heat is applied. Add some onions and mix the other ingredients thoroughly. Lower down the heat and let the liquid be fully absorbed. Don’t forget to let it simmer and cool off. One great thing about this recipe is that it is easy to make and abundant with nutrition. Besides, you can see more Quinoa recipes here. 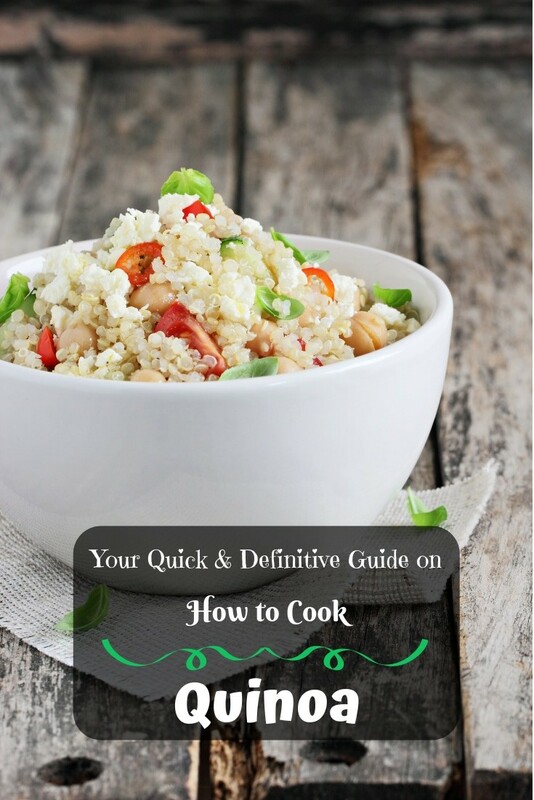 I hope that this cooking guide will help you to learn how to cook quinoa without hassles and complexed methods. 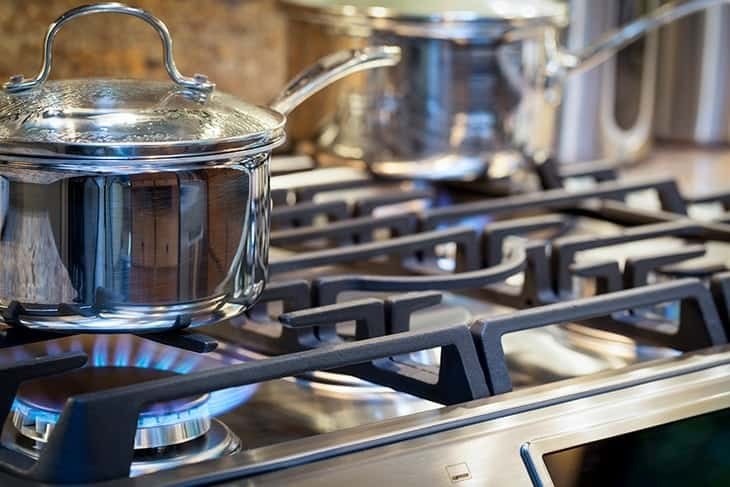 If you want to improve your cooking skills, you can use these top steps and procedures to help you gain the best results. Make use of the recipes that I have provided regarding the steps of cooking quinoa with other side dishes and enjoy the health benefits that quinoa can provide. 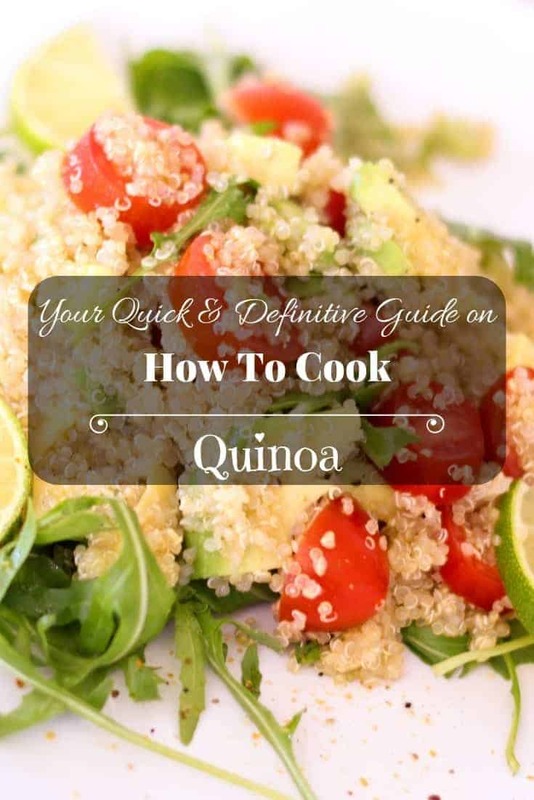 With the recipes I have mentioned above and the different blog sites that you can gain more information, I hope that this cooking guide will provide you the necessary information that you need for cooking quinoa. As I have mentioned earlier, cooking quinoa provides you with a lot of benefits, and if you happen to know about this product and have cooked it in the past, please let us know. If you find this post helpful, feel free to comment below and share your cooking experience with us.